WILD ABOUT HARRY: LINK: How many degrees away from Kevin Bacon is Harry Houdini? 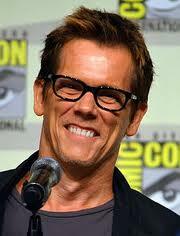 LINK: How many degrees away from Kevin Bacon is Harry Houdini? I love playing the Six Degrees of Kevin Bacon game, but I've never thought to try it with Houdini. Well, iTricks has discovered Houdini's Bacon number: 4. Click on the headline to find the steps which take us in four moves from the Master Mystifier to Master Bacon (while I try to think of a way to do it in 3). Calculating Bacon numbers is a new "easter egg" feature from Google. Just type in "Bacon number" plus any actor's name to get a result. BTW, my Bacon number is 3. I wrote Boot Camp starring Mila Kunis. Mila Kunis and Emma Stone appeared in Friends with Benefits. My bacon number is also 3 but it can be beat with: I beat it with Bess Houdini. There was a link with through Bess' co-star Betty Compson claiming it to be Pita Wilson. There must be 2 actresses with the same name as the movie that connects them was made in 1935 but the Pita Wilson they use to connect is only 41 years old.